Gremel is now 98 years old and his stock is worth more than $2 million. But rather than cashing out and living extravagantly in the time he has left, Gremel is making sure the world is a little better for the next generation, by donating his stocks to help establish a 400-acre wildlife refuge, the Chicago Tribune reports. Gremel has no wife or children to leave the money to. 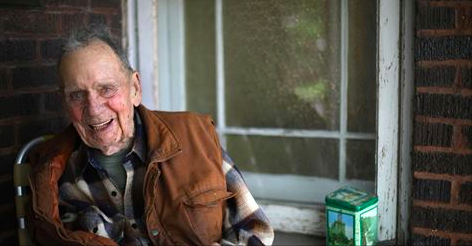 He’s lived in the same Jefferson Park home for 95 years. Growing up poor (his family lost everything after the 1929 stock market crash) taught him to enjoy life and be completely content living modestly. Nonetheless, he retired from practicing law at age 45. “Why not give it to them now when … I have the pleasure and enjoyment of seeing it,” he said.